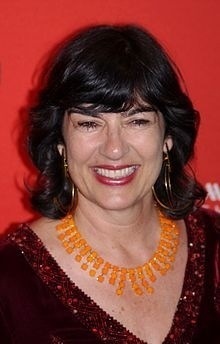 TV War Zone Queen, Christiane Amanpour, commented on blogging in the August Issue of Vanity Fair. I love that quote ! This entry was posted in digital, senior lifestyle, tech and tagged blogging, Christiane Amanpour, Vanity Fair by loiswhitman. Bookmark the permalink.